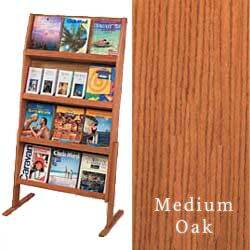 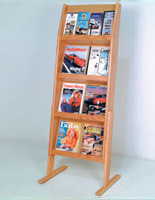 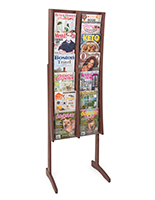 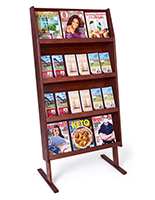 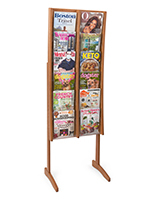 This Magazine Rack Features a Medium Oak Finish! 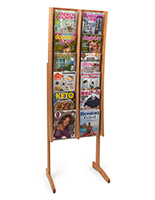 Find This and Many More Magazine Racks Right Here! 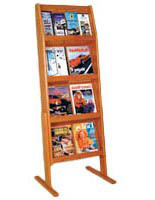 Add a touch of elegance to your literature section with this genuine oak and wood veneer magazine rack. 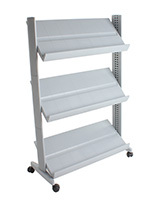 This unit has open fronts and is designed for heavier stock brochures and magazines. 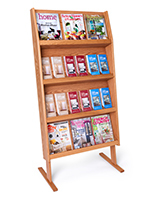 Removable dividers allow you to display 4" wide brochures & 8-1/2" x 11" literature.